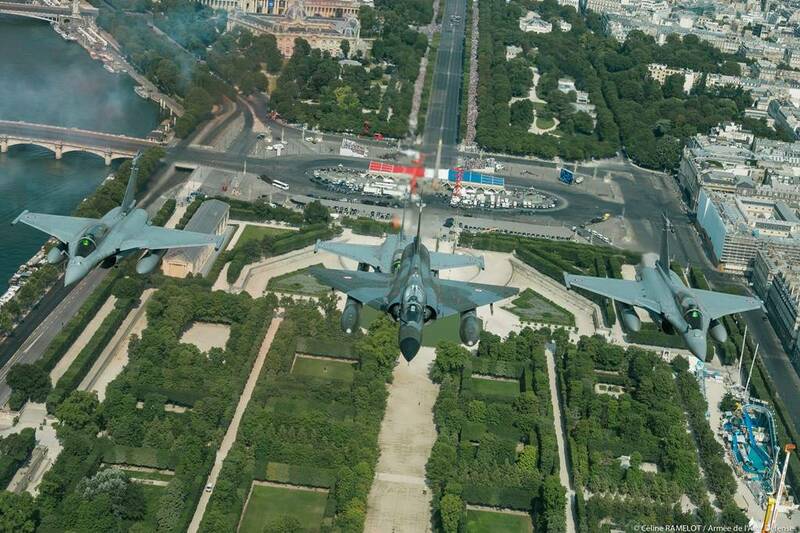 Bastille Day Air Parade Champs-Elysées, Paris. 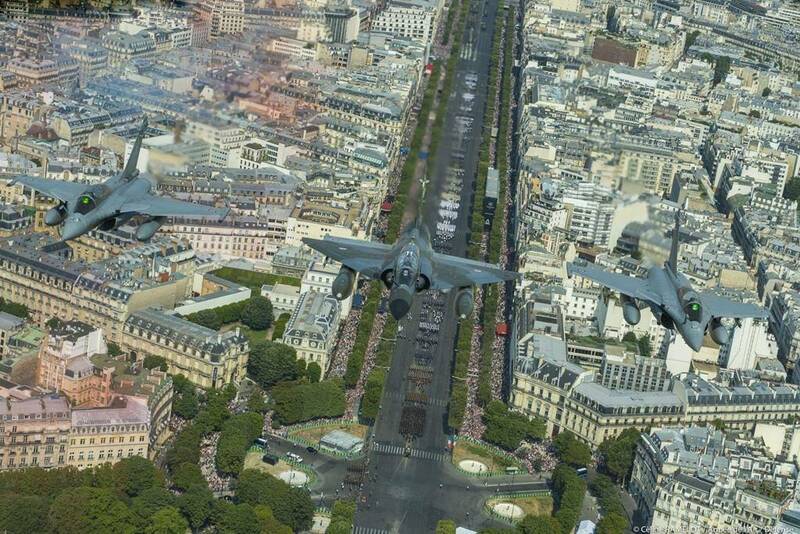 On July 14, 2018 the traditional air parade was held along the Champs-Elysées, Paris. Its is the highlight of the French national holiday celebrations. 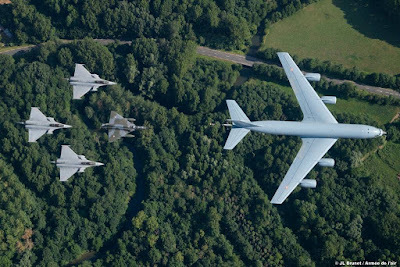 This year parade included 64 aircraft: 53 from the Armée de L'Air (French Air Force), six from the Marine Nationale (French Naval Aviation), two of the Civil Security and three foreign aircraft. 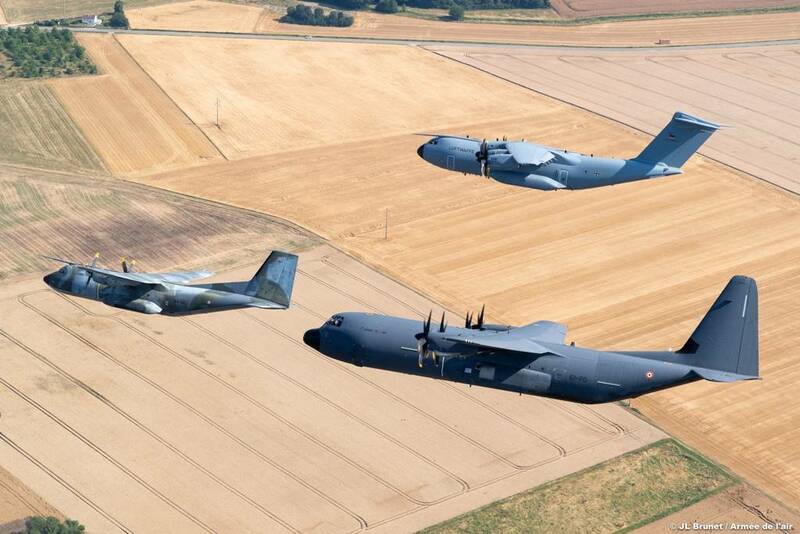 The fly-by of all participants represent the highlight of the various missions of the Air Force, the Navy and Civil Security such as the protection of the French territories, the projection of force, intelligence, emergency relief, but also training. 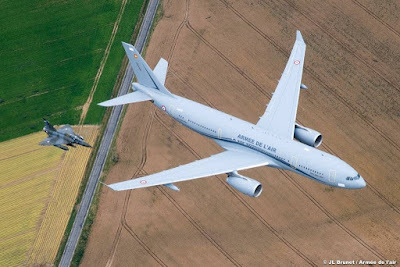 Like every year, foreign aircraft took part in the parade. 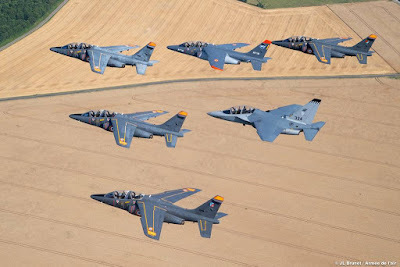 They were a Royal Singapore Air Force M346, a Belgian Air Force Alpha Jet and a German Air Force A400M. The formations flew at 1,000 ft AGL (300 meters) with different speeds. 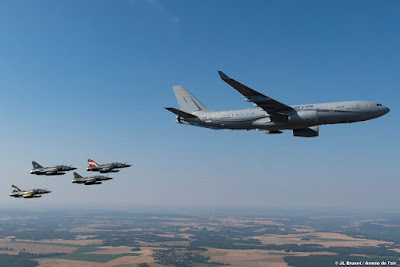 The fighter jets flew at 300 knots (550 km/h), the Naval jets at 280 knots (520 km/h), the Maritime Patrol Aircraft at 200 knots (370 km/h), the transport aircraft at 180 knots (330 km/h). 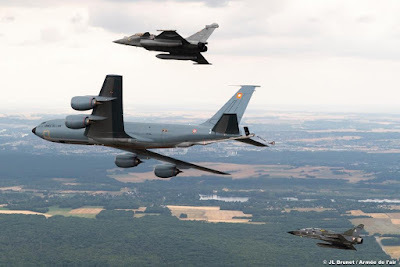 The whole parade was about 50 kilometers long with distance between the various formations of about 6 kilometers, while each aircraft was 6-10 meters from the other. 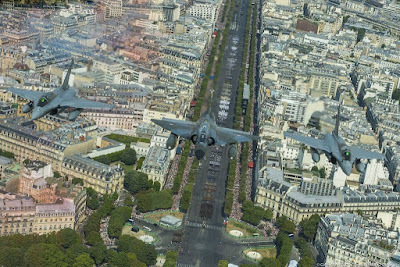 In addition to the planes, thirty helicopters flew over the Avenue des Champs-Élysées, eighteen from the Aviation Légère de l'Armée de Terre (ALAT, French Army Aviation), five from the Armée de L'Air (AdLA, French Air Force), two from the Marine Nationale (French Naval Aviation), three from the National Gendarmerie and two from Civil Security. 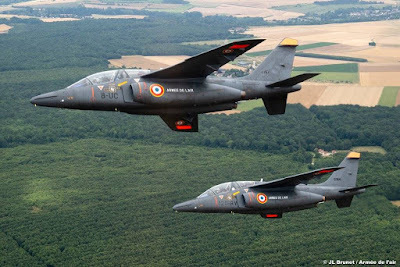 They flew at about 400 feet AGL (120 meters), with a speed of 90 knots (170 km/h). The line up of helicopters was some eight kilometers long with distances between formation blocks of about 1 kilometer. 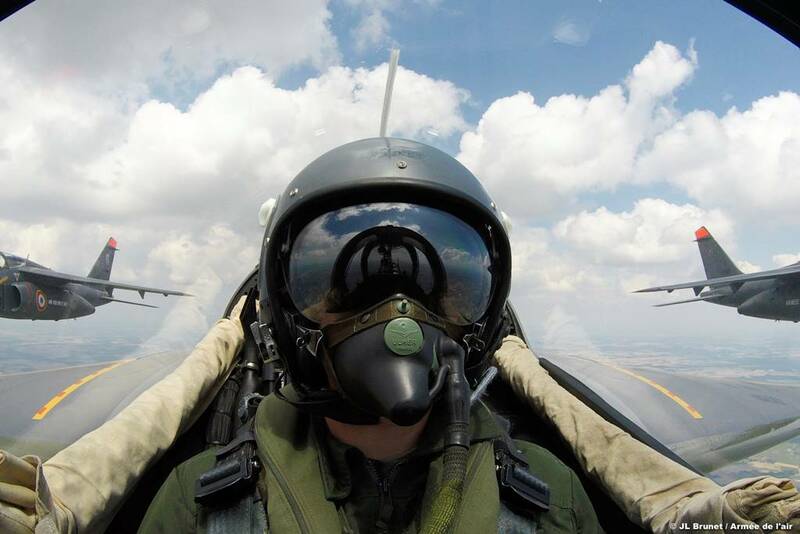 The distance between the helicopters was five to ten meters. 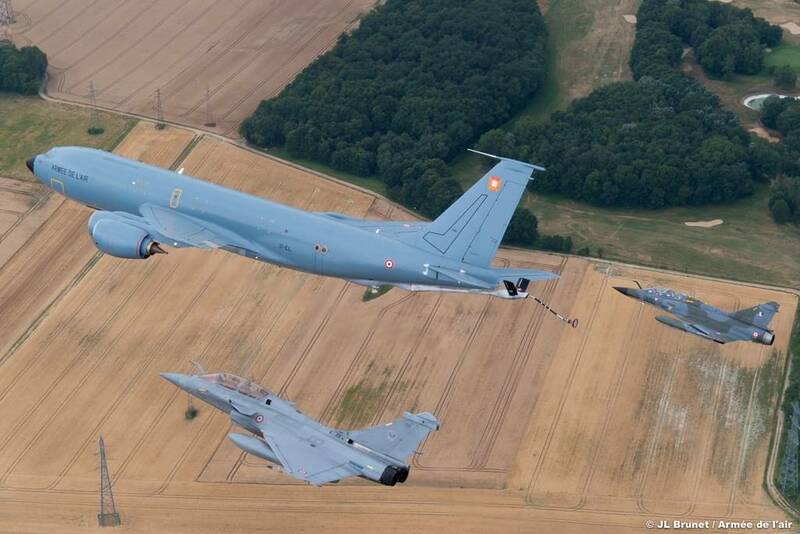 Here is a selection of images taken behind the scenes of the air parade.